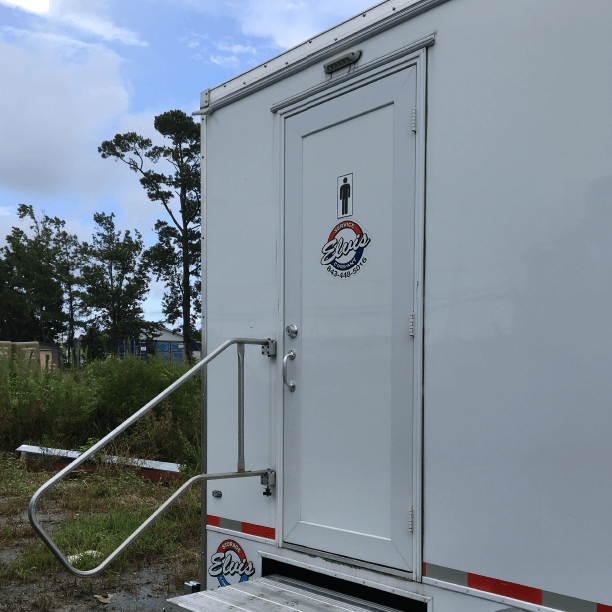 Our beautiful two stall restroom trailer is perfect for small events. 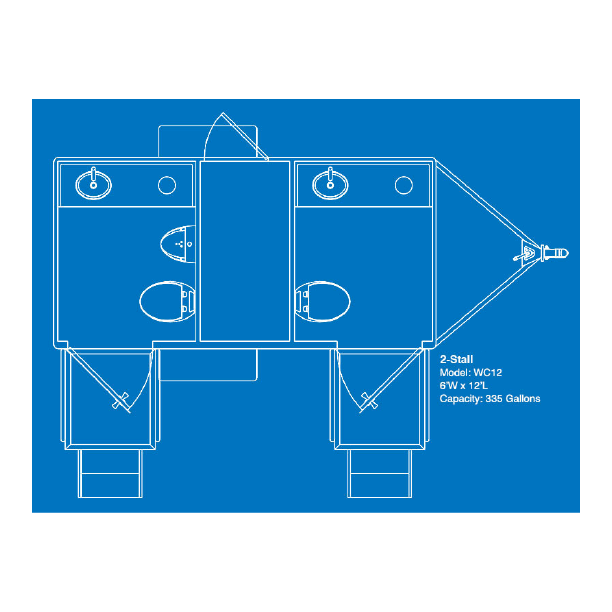 Whether you have a need for portable restroom trailers during a wedding, party, small event, or corporate function, this could be the right fit for you. This potty trailer is complete with air conditioning, running water in sinks, and flushing toilets. All you need is a 110V outlet and a water hose connection for this trailer to be operational. Our two stall restroom trailers include one men’s stall and one women’s stall. 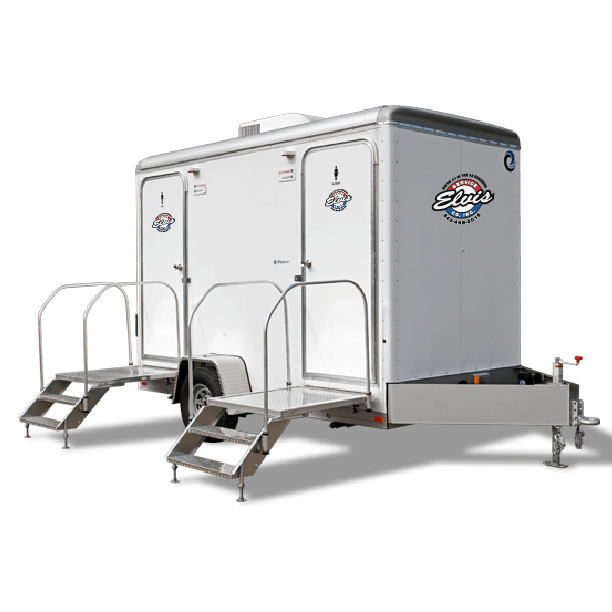 The tan package is included with all of our two stall trailers and it provides a comfortable feel for your guests. Our trailers are on standby for immediate delivery if you have an emergency anywhere in South Carolina or North Carolina. We are based in Myrtle Beach, but we routinely deliver to Charleston, Columbia, Charlotte, Raleigh, Florence, and Wilmington.